A neo-Nazi group, including former Latvian Nazi Waffen SS veterans, has demolished a monument to fallen Soviet troops in a Latvian town with the support of a nationalist party which forms part of the ruling coalition in Latvia’s parliament. The monument to fallen Soviet sailors in the northern Latvian town of Limbazi, located about 100 kilometers from Riga, was demolished by activists from neo-Nazi group Daugavas Vanagi (the Daugava Hawks), which calls itself an organization of the former Nazi Waffen SS Legion veterans. The demolition was also supported by the National Alliance, which is a part of the ruling coalition in the Latvian parliament. The party even posted a video of the demolition on its Facebook page with a march playing in the background. 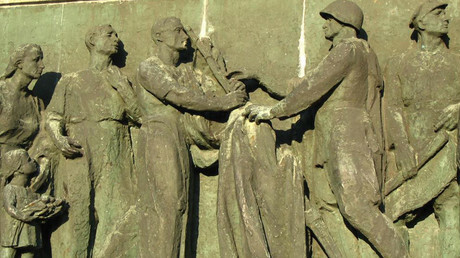 The National Alliance also said in the description to the video that the activists demolished a monument to the troops, who “killed some locals and then died themselves,” although the monument was built 1975 in commemoration of the Soviet sailors, who died there in 1941, defending the area from the Nazi invasion. The party then posted a number of photos demonstrating the process of demolition and said that it took place on August 27. The National Alliance is the fourth largest party in Latvia comprised of the nationalist For the Fatherland and Freedom/LNNK and far-right All for Latvia! party. It was founded in 2010 as a political alliance and became a unitary party in 2013. The Daugava Hawks is a far right group that particularly took active part in the organization of the march of the Latvian veterans of Waffen-SS units on the so-called Legion Day on March 18, an unofficial holiday honoring Nazi collaborators during WWII. Meanwhile, local authorities justified the demolition by saying that the monument was in advanced state of disrepair and posed a threat to the children attending a local school, as reported by Latvia’s Leta news agency. They also said that € 8,000 ($ 8,911) had been spent on the demolition from the local budget. The authorities added that it was not included on a list of Soviet-era monuments. Russia condemned the demolition of the monument and said that it violates a bilateral agreement between the two countries. “We regard the demolition of a monument to the Soviet sailors unacceptable and contradictory to the bilateral intergovernmental agreement… that obliges the Latvian side to provide care, maintenance and security for the memorials,” Russian Foreign Ministry’s spokeswoman Maria Zakharova said during a news briefing on Wednesday. She also stressed that Russia expects a“swift reaction” to this “blatant incident” from Riga, adding that the Russian Foreign Ministry had not received any response from the Latvian government yet. The Russian embassy in Latvia denounced the move and filed a note of protest with the Latvian Foreign Ministry over the incident. 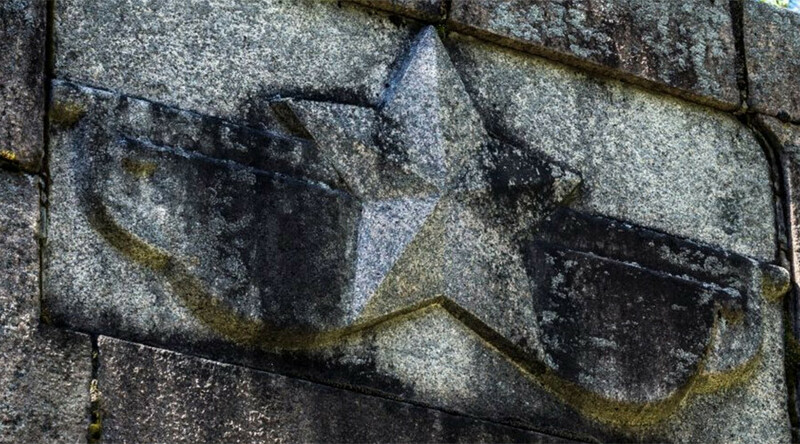 Soviet Era WWII monuments are often targeted in Baltic States and some Central European countries. In 2015, authorities in a Polish town demolished a monument to a fallen Russian WWII general. In April 2016, Russia’s Public Chamber even addressed UNESCO and OSCE asking them to help protect Soviet-era WWII memorials from destruction.